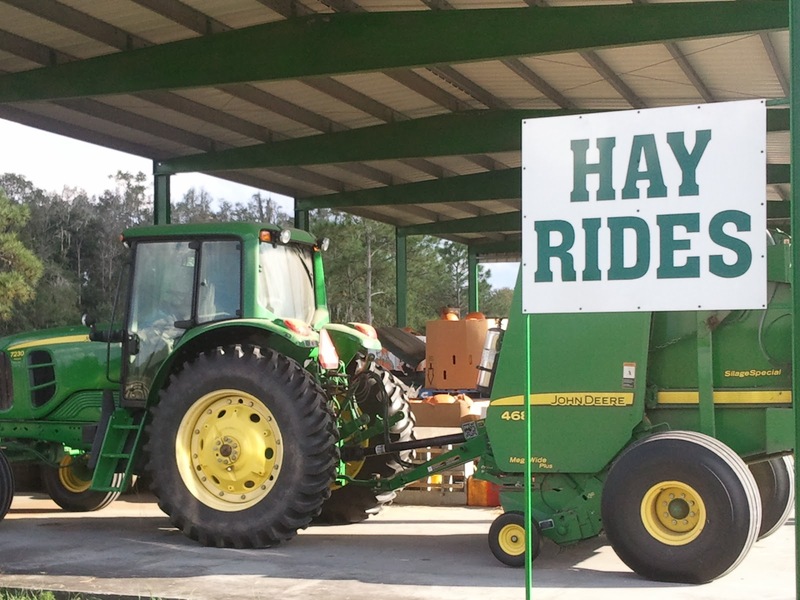 How did we get to the Ottawa Farms? When we last left the story (meanwhile back at the ranch), our hero was walking the earth at his alma mater, dialing up Jefferson Airplane on the Cosmo's jukebox on Friday. 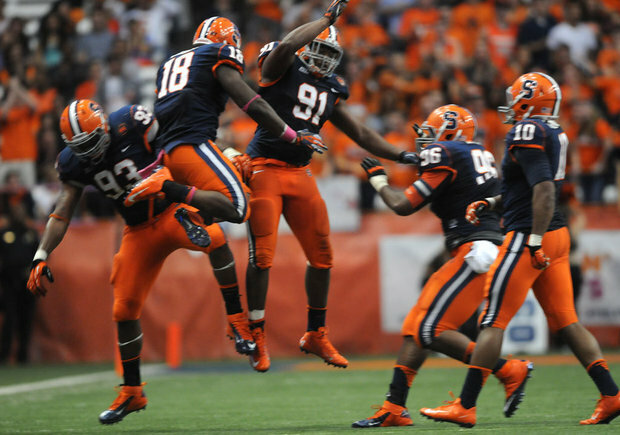 Syracuse later wrapped up a "good enough" 14-13 win over Pitt. It wasn't a thing of beauty, but at 1-0 in the Big East, the Orange control their own destiny for a BCS bid...As does Cincinnati, Louisville, Rutgers, and Temple. It's early yet. The margin was a point after, and upon conclusion of the national TV broadcast I made sure to get a pint after (or two) at Faegan's Pub. Unfortunately it wasn't flip night, a tradition like no other. So after a handful of hours sleep and a couple of flights home, I scooped up the kids. Despite my exhaustion I wanted to make sure it wasn't an all-day video game-fest, so we headed to the farm. I probably don't strike anyone as the farm type, but I lived in Nebraska and west Michigan for some years so I've incorporated it into my autumn persona. After various energy-burning activities we hopped on the hay ride, which dropped us at the corn maze. 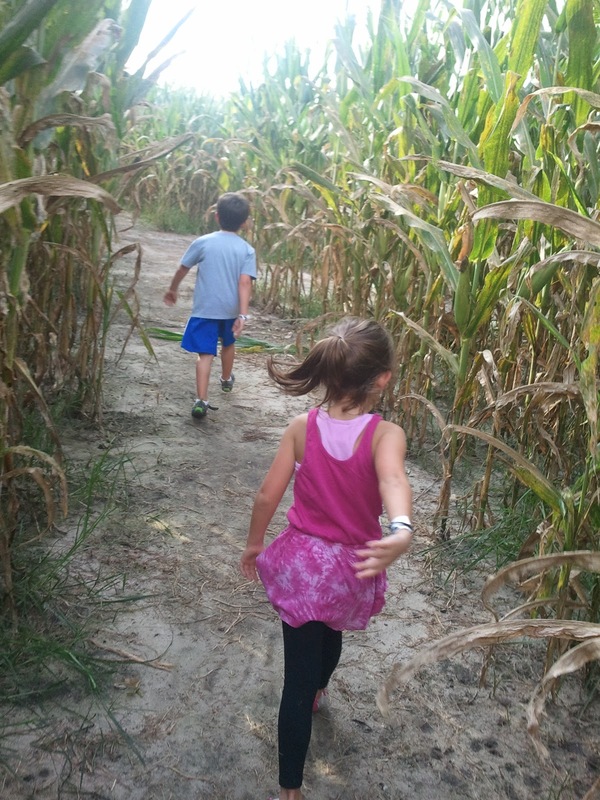 I reminded the kids of the rules: don't pick the corn, no running, and stay together. They abided, and I captured my new favorite photo. It reminded me of Dr. Seuss's Oh The Places You'll Go. There was big brother leading little sister through the labyrinth and you can make so many analogies. And they're in lockstep, right down to the flinging of their arms. I can't tell if she's modeling, mocking, or it's just genetics. The corn maze is of course about the journey and not the destination, although we spent a little too much time wandering and missed the pig races. Someone told me they put lipstick on them - oh that was another race, never mind. We grabbed some pumpkins to go and went home for dinner, pumpkin decoration and video games. The kids went to bed in time for me to catch the surreal Texas A&M comeback at Ole Miss, and West Virginia's validating win at Texas. Did Georgia play today? It was a long and perfect day. There aren't that many of them so I just had to share it.